A JAMA Internal Medicine research letter about the high rate of prescription opioid overdoses co-authored by Perelman School of Medicine physician and LDI Fellow Kit Delgado is the subject of a major article in The Los Angeles Times. The Times reported, "A new analysis of 2010 data from hospitals nationwide found that prescription painkillers, known as opioids, were involved in 68% of opioid-related overdoses treated in emergency rooms. Hospital care for those overdose victims cost an estimated $1.4 billion." Delgado and colleagues' letter noted that "Opioid overdose is a leading cause of injury-related mortality in the United States. However, little is known nationally regarding the characteristics of opioid overdose presentations to emergency departments." The researchers said they "found 135,971 visits (or an average of 372 a day) to US Emergency Departments for opioid overdose in 2010 alone." "This number represents only a portion of all opioid overdoses because many individuals never present to an ED or die without activation of the emergency medical services system," they explained. "Differences among patients presenting to EDs with opioid overdose have important implications for clinical and population-level overdose prevention efforts." The Times report said prescription opioid abuse has often been inaccurately "blamed on pharmacy robberies, teenage pill poppers and the black market." It cited its own 2012 investigative report that showed how physicians played an important role in prescription drug overdoses. "The 2012 Times analysis of 3,733 fatalities found that drugs prescribed by physicians to patients caused or contributed to nearly half the deaths," the article said. 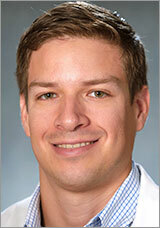 Delgado, MD, MS, is an Emergency Medicine Instructor and Emergency Care Research Scholar at the Perelman School.